Cheryl Charles, Ph.D., is an innovator, author, organizational executive and educator. In 2015, Cheryl was named Research Scholar and founding Executive Director of the Nature Based Leadership Institute at Antioch University New England (AUNE). The vision of the Institute is a world in which all humans live, learn, lead and serve in healthy balance with the natural world. AUNE's Nature Based Leadership Institute applies nature’s lessons to achieve economic, environmental and social justice. 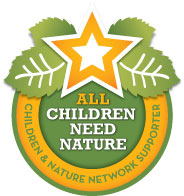 Cheryl is the Co-Founder, President and CEO Emerita of the Children & Nature Network. Currently she coordinates the Network’s international activities and participates as a member of the Science of Nature-Based Learning Collaborative Research Network, a major three-year project funded by the National Science Foundation. 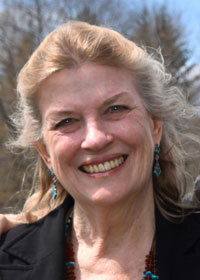 Recipient of numerous awards for her leadership, she served as founding National Director of the pioneering K-12, interdisciplinary environment education programs, Project Learning Tree and Project WILD, both of which remain available and widely used. 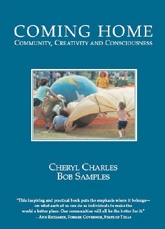 Author Mark Gerzon named Cheryl a “new patriot” for her pioneering work to bring ecological concepts into the mainstream of schooling. A member of the Brandwein Institute Board of Directors, the lead sponsor for the 2015 Inspiring a New Generation (ING) North American Summit, she helped to plan the invitational Summit for participants from Canada, the US, Mexico, Australia, China, Brazil, and the Netherlands and served as the Summit’s co-moderator. An ING Framework for Action resulted from the Summit and Cheryl was among those who carried the Framework forward to the IUCN’s World Conservation Congress in 2016, a model for reconnecting people with nature throughout the world. A student of natural systems, Cheryl has applied nature-based leadership principles to her work to facilitate social change for the past four decades. Cheryl is author, editor and designer of a wide variety of publications including books, articles, and educational materials. Cheryl has given hundreds of public presentations including scores of keynote addresses; and has facilitated a wide variety of civic, business and educational meetings on a range of topics from developing community leadership to leading the worldwide effort to reconnect children with nature. She co-founded and served as the chief executive for the Center for the Study of Community and Windstar Land Conservancy and also served as CEO of John Denver’s Windstar Foundation and the Sol y Sombra Foundation. Cheryl is Co-Founder and Principal of Hawksong Associates, a consulting practice focused on innovation, community building, leadership and educational program development. Speaking topics of special interest to Cheryl are the benefits to everyone’s health and well-being, and that of the Earth itself, from direct experiences in nature; children’s optimal cognitive, emotional and physical development; developing executive function skills in children through nature-based experiences; applying nature’s lessons to organizational and community development; inspiring a new generation, including millennials; creating nature-rich environments, including homes, schools, and cities; biophilic design; the importance of intergenerational learning; and trends in the worldwide movement to reconnect people with nature. Throughout Cheryl’s keynotes, workshops and presentations, she combines a comprehensive understanding of research with common sense approaches for making positive change. Cheryl holds a B.A. from the University of Arizona, an M.A. from Arizona State University and a Ph.D. from the University of Washington. She was married to her now deceased husband, Bob Samples, for 40 years. They have one son, Stician Samples, married to Emily Kimball. 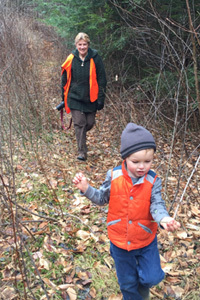 Stician and Emily live in Vermont with Cheryl’s happy, healthy, nature-boy grandson, Alden Robert Samples and granddaughter, Avery Rowan Samples. Grandma CC visits often.